A great big thank you to German Gutierrez of G&G Sprinkler Systems who donated 6,000 lbs of sand to fill our sandbox to the brim. 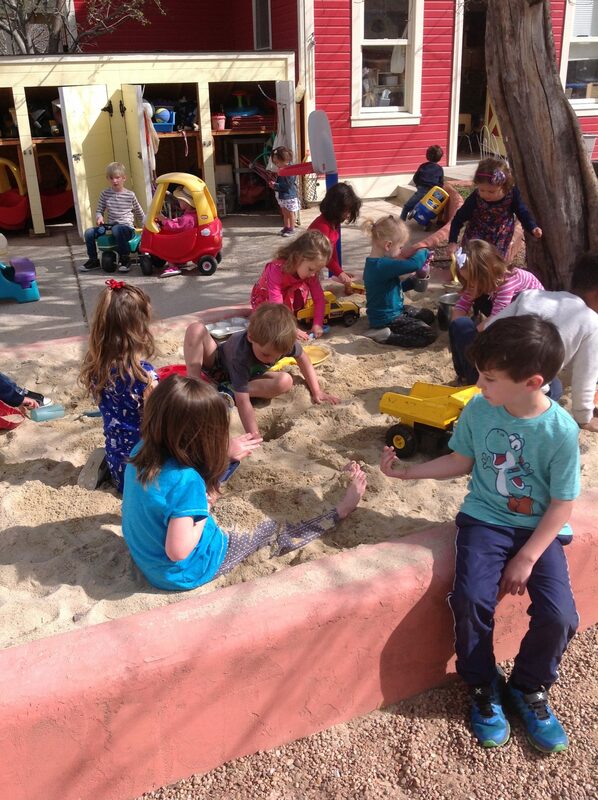 German has had 2 children be part of our preschool, and both sons helped him with the sand. The children were excited to explore the possibilities that the new sand level afforded. Children had a race to dig to the bottom of the sand, using all different sizes of shovels. Children grouped together in teams and once they hit the bottom (noted by a change in color of the sand as they hit dirt), they then began to build tunnels. The deepest hole was large enough to bury a sitting child up to his chest. Once one child was buried, a new game emerged were every child wanted to be covered in sand.